Born in Aizu Wakamatsu, Fukushima Prefecture in 1945. Exhibitions include 1988 solo show, Alphaflor Galerie, Freigurg, Germany; 1987 solo show, Elegance Gallery, Fukushima; 1987, 41st Fukushima Art Festival. Collections can be found in the Cincinnati Art Museum; Hamburg Museum of Arts and Crafts; Singapore National Museum. Born in Tokyo, 1938. 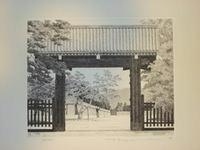 Graduated from Musashino Art University, Tokyo in 1960. 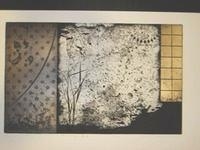 Has exhibited in the following; 1990 group show, Retretti Art Centre, Finland; 1986 solo show, Gallery Tamura, Hiroshima; 1985 solo show, Gallery Off, Nagoya; Tsutaya Gallery, Kyoto; Flower Collection, Osaka. Collections can be found in the Cincinnati Art Museum, Rockefeller Foundation, New York; Singapore National Museum. Born in Nagano Prefecture in 1948. Prizes include 1989, JPA show, associate member special prize; 1989 Bharat Bhavan International Biennial, India, special prize; 1989 Miniature Print Biennial, New York. Has exhibited in the following: 1993 solo show, Root Gallery, Tokyo and Taller Galeria, Barcelona; 1992 solo show, Silk Gallery Seoul and Portfolio Gallery, New Zealand. Collections can be found in the Cincinnati Art Museum; Hamburg Museaum of Arts and Crafts; Singapore Art Museum. Born in Duluth, Minnesota, USA 1927. Studied at Minneapolis School of Art from 1950-52. Has lived in Japan since 1955 and passed away on March 24, 2007. Collections can be found in the Cincinnati Art Museum; East Asian Legal Studies Center; Harvard University; Kunst Museum, Salzburg; Minnesota Museum of Art, St. Paul, Minnesota; Museum of fine Arts, Boston. Born in Yokohama in 1952. 1977, B.A. ; 1979, M.A., Tama University of Fine Arts, Tokyo. Collections can be found in Tochigi Prefectural Museum; Cleveland Museum of Art; Art Institue of Chicago; Tama University of fine Arts Museum; Yokohama Museum of Art; Shanghai City Museum. Born in Tokyo in 1956. Graduated from Rikkyo University, Tokyo in 1979. Prizes include 1985 Prizewinning Print Artists Exhibition, Central Museum Gallery, Tokyo; 1984, 85 Promising Young ArtistsExhibition, Isetan Department Store, Tokyo. Collections can be found in the Cincinnati Art Museum; Rockefeller Foundation New York; Bayerische Landesbank, Tokyo. Born in Saga in 1959. Graduated with M.A. from Tama University of Fine Arts, Tokyo. Collections can be found in the Cincinnati Art Museum; Rockefeller Foundation New York; Hamburg Museum of Arts and Craft; Singapore National Museum. Born in Dairen, Manchuria in 1913. 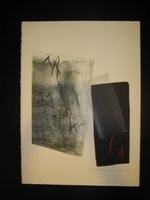 Exhibited in 1992, retrospective, Gifu Museum; 1990 traveling show Art Forum, Singapore; Galerie du Monde, Hong Kong; Honolulu Art Gallery; 1989 solo show, Seibu Museum, Tokyo. Collections are shown in the Brooklyn Museum New York; Guggenheim Museum New York, Rockefeller Collection New York; Yale University Art Gallery New Haven; Art Institute of Chicago; Museum fur Ostasiatische Kunst, Berlin; Museum Folkwang, Essen; Tokyo National Museum of Modern Art. Born in Tokyo in 1938. Graduated from Nihon University. Tokyo in 1982. 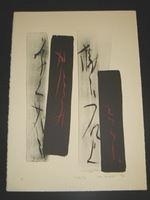 Exhibited in 1991-93 group show of Japanese contemporary art traveling to Ireland, Norway, Finland, Iceland, Greece, Italy, and Brazil; 1991-93 CWAJ show;1989 solo show, Japan Art Center, Bellingham, Washington. Collections are shown in the Cincinnati Museum of Art; Rockefeller Foundation New York; Hamburg Museum of Arts and Craft; Singapore National Museum. Born in Takatsuki City, Osaka in 1933. 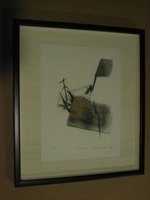 Exhibited in 1992 solo show traveling to Azuma Gallery, Seattle; Ren Brown Collection, Bodega Bay, California; Verne Collection, Cleveland. Collections are shown in Fogg Museum, Harvard University; Boston Museum of Fine Arts; New York Metroploitan Museum of Art. Born in Sendai in 1953. Graduated from Zokei University in 1977. 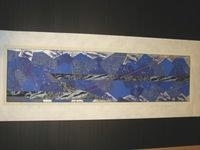 Exhibited in 1991-92 group show, Galleria 25, Helsinki; 1990 special commission by Terrapak, Japan; 1984 to present, solo show, Tolman Collection. Collections are shown in the British Museum, London; Cincinnati Art Museum; Rockefeller Foundation New York; Singapore National Museum. 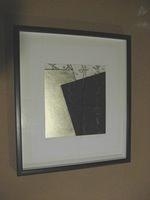 (c) Art Touch Collection, LLC 1999-2008. All rights reserved. Images of contemporary Chinese art and modern Japanese art print on this web site may not be reproduced without prior permission of art Touch Collection or the artist.